Paignton Beach offers the ultimate family day out at the seaside. With a sandy beach, safe swimming and a whole host of activities to enjoy, this promises to be a fun day out for all the family. There’s lots to do; you can hire a pedalo, take a fishing trip from the nearby harbour or simply sit back and relax in a deckchair. 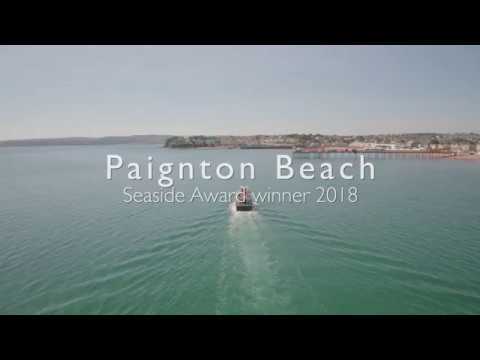 In the middle of the beach sits the famous Paignton Pier, so if you’ve had enough sunbathing or you’ve built enough sandcastles, why not head here see what all the fuss is about? You’ll find kiosks, cafés and an abundance of amusement arcades to keep kids of all ages happy. Access: Easy level access to the promenades and the harbour. A beach wheelchair is available. Two ramps provide easier access from the promenade onto the beach for the disabled. Banned during the summer season. There is a dog exercise area on the green. The nearest town is Paignton. There is a main road access and various local buses. The main Victoria car park is a short walk away and there are disabled visitors spaces (charges apply), there is also metered on street parking available.